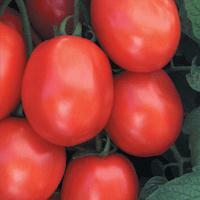 Hybrid variety suitable for a wide range of growing conditions. Grows strongly with a vigorous foliage. Indeterminate growth. Maturity : 65-70 days after transplant. Harvesting period lasts more than 45 days, depending on plant conditions. Plants bear many fruits in clusters with the following features : oblong shape, medium size, uniform color, weighing 100 – 110 g per fruit, thick, hard fruit (good for transportation), long shelf life. High tolerance to Fusarium O, Pseudomonas, Stemphylium, Verticillium and Heat. 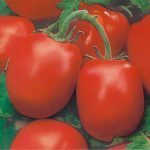 Other varieties with similar features in semi-determinate types, showing tolerance to TYLCV and Nematods : TOMATO F1 DARAN, TOMATO F1 FURIA.